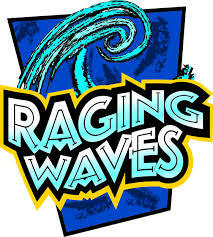 LAST CALL for Raging Waves Fitness Logs is today! Tomorrow is the last day to submit. Last Call for completed Raging Waves Fitness Program Logs is today! If yours is complete, submit the school office b tomorrow. PARENTS/GUARDIANS: Print the log listed below and help track your child’s fitness, then sign the form and send it back to school or email it to the School Coordinator, Domenica Jiménez at leandom@iit.edu by April 9th.